Slot machine games are fashioned off innovative technology, encompassing random number generators (RNGs), audio-visual artistry, and unique themes. These casino games are designed for entertainment purposes, with the potential for big jackpots when the right combinations of symbols land on activated paylines. 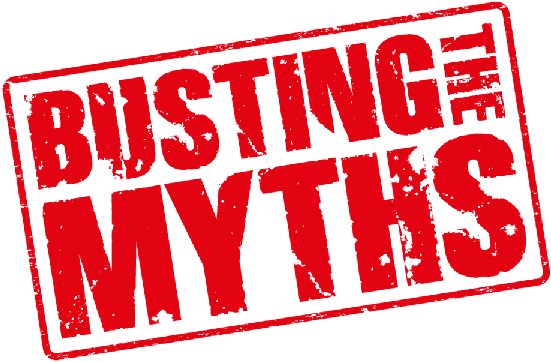 Throughout the ages, slot games have been associated with myths, half-truths, and general misconceptions. On the one hand, a view persists that pokies are games of pure chance, and no amount of tactics or strategy can help you to maximize your payouts. On the opposite end of the spectrum, slots aficionados argue that there are definite playing practices that you can adopt to help you maximize your payouts. The area in between these opposing viewpoints is where we will begin our in-depth exploration of slot machine tips, tricks, and strategies. As a slot machine player, your natural inclination is to find inventive ways of understanding the slot game of your choice, and ultimately employing strategies to help you gain the advantage over the machine. To this end, it’s important to understand that slots are games of chance. The house a.k.a. the casino, has a built-in advantage over the player, and this is the reason slot machine games generate long-term revenue streams for casinos and online casinos alike. Let’s briefly turn our attention to the importance of slot games for casinos and online casinos. Typically, the bulk of casino revenues are generated through slot machine games. Official stats from the Nevada Gaming Control Board Gaming Commission (NGCBGC) indicate that slot games account for more revenue than all other casino games combined. The total gaming win from slot games amounted to $7 billion between March 2015 – February 2016. That is nearly 80% greater than the total table game win of approximately $4 billion. The revenue generated by sports betting amounted to $19.2 million. Based on the Nevada Gaming Control Board, over 50% of casino profits are derived from pokies. I Just Missed a Jackpot – When the spinning reels come to a stop on a slot machine game, and you are fractionally away from a jackpot, that near miss is not a near miss at all. Slot machine games a.k.a. pokies, are intentionally designed to generate specific outcomes on every spin. The moment you activate the spinning reels, a predetermined outcome is instantly calculated. The actual spinning of the reels is done for show. This is designed to keep players interested in the video slot game, classic slot game, or progressive jackpot slot game. The spinning that you see on your screen, the mechanical slot or video slot is merely window dressing for the RNG-generated outcome. The outcomes that are apparent on a slot machine game are merely strings of possible outcomes – each of which is available the moment you click the spin button. Slots are governed by highly complex mathematical programs known as algorithms. The RNGs work in tandem with the preprogrammed symbols and reels to generate these results. Consider that the program that determines a slot outcome is fixed. 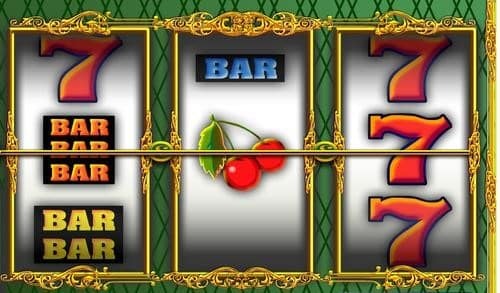 Every slots spin is subject to the same percentages, known as RTP (return to player). This is the average per GBP that is returned over time. The More You Play the Greater Your Chances of Winning – once again, it’s important to remember that the algorithms governing slot outcomes are fixed, or at least programmable. The longer you play a slot game, the greater the chance you will lose according to the RTP percentage of that slot game. For example, if a specific slot has a 96.5% RTP, this means that you can expect to lose £0.035 for every £1 bet over the long-term. By playing a slot game for a longer period of time, you are only moving towards the mean. In the short-term however, it is possible to beat the odds by winning a jackpot. Since a slot machine is never due for a payout, it could happen on your very first spin, your 1,000th spin, or not at all. No players have an unlimited bankroll, therefore it is important to manage your slots bankroll effectively to ensure maximum entertainment value at minimal cost. I Can Maximize My Profits by Betting as Much Is Possible on Each Slot Game – the outcome of slot games is determined by pre-programmed software known as RNGs. When these random number generators land winning symbols on the reels, you will likely receive a bigger payout if your bets are at the highest coin denomination per spin. However, while you can maximize your profits when the right symbols land, you can also maximize your losses when the right symbols don’t land. This strategy of betting maximum coins on individual spins can yield good results if the RNGs work in your favour. If you play at the maximum per spin all the time, you will quickly run down your bankroll, and still be subject to the same RTP. Pokies Have the Worst Odds of All Gambling Games – this is simply not true. There are many gambling games with lower RTPs than slot games. These include casino table games with side bets such as Caribbean Stud Poker, or the tie bet in Baccarat, or certain bets in craps, or even the lotto. Keno is one game which has significantly worse odds than slot games. According to experts at the Wizard of Odds, the house edge is highest on games like Big Six (from 11.11% through 24.07%), Bonus Six (from 10.42% through 23.83%), Casino War (tie bets at 18.65% house edge), Craps Bets on any craps (11.11%), craps bets on 2, 12 & all hard pops at 13.89%. Keno has a house edge of between 25% and 29%, and the house edge on Three Card Poker ranges from 3.37% through 7.28%. There Is No Element of Skill with Slot Games, Only Table Games – the devil is in the details. While you are playing slots, the skill-based component begins with your bankroll management and selection of slots games. It’s all about finding the right pokies machines. 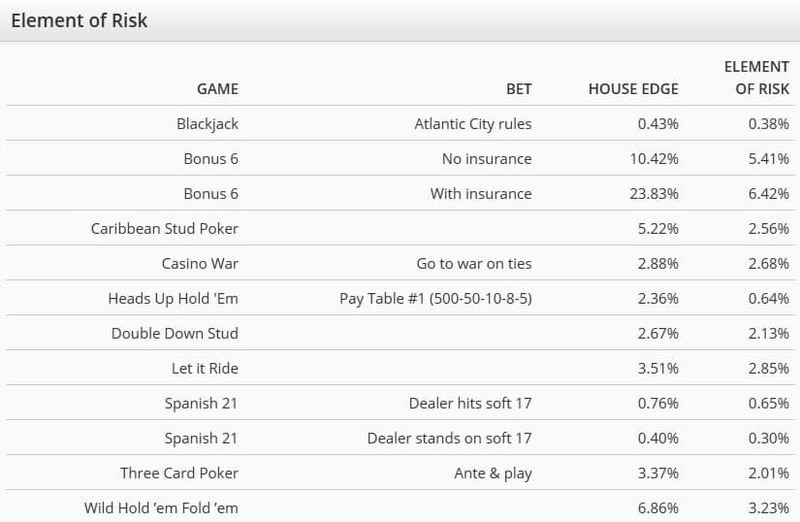 If you check the information on payout combinations, RTPs, and wagering requirements, you may find one slot game more favourable than another. Bankroll management is the most important resource and strategy to apply during your slots sessions. Certain casino table games such as blackjack contain a skill-based element, but it is not ironclad. Depending on the player’s ability, the number of decks in play, and the rules of the blackjack game, luck may outweigh the skill-based component. With slots, you know precisely what the RTP is every time. You can also pick your preferred slot game based on these percentages. Your Odds Are Always Better with Small Jackpot Slot Games – the odds with a small jackpot or small progressive jackpot are fixed according to the RNG, and this manifests in the RTP figure. In any event, the house always wins in the long-term. The mathematics are constructed in such a way to offer the casino the edge over the player. The control that a player has with any jackpot slot game is limited to the choice of slot machine game, and bankroll management. The only way you can beat the odds in a slot machine game is over the short-term – that’s when anomalies in the system take place. In the long-term, the casino always wins. There Is No Real Slots Gaming Strategy – the best slots strategy is one that minimizes your risk of loss, maximizes your enjoyment of the game, and extends your real-money playing time as long as possible. Since slots games are known as negative expectation games over the long-term, you cannot hope to beat the casino on these machines if you play an infinite number of times. By choosing slot machines with more favourable player odds (RTPs), you will decrease your losses substantially. Bankroll management and slots winning strategy dictates that you learn when to walk away from a slot machine game. There are many such strategies today. Loss minimization, profit maximization, volatility-related strategies and the like abound. Many slot players use their intuition to determine when the right time to walk away is. Since many players can easily spin upwards of 600 – 800 spins per hour, it’s important to check your betting behaviour as part of your real-money slots gaming strategy. Perhaps the most dangerous aspect of a slot machine game is its volatility, and the speed with which you can lose money. Of all the games at the casino, it’s the penny slots that yield the biggest profits. The interesting thing about the random number generator (RNG) in slot machine games is that nobody can predict what the outcomes will be. This includes the proprietor of the slot machines, the casino, or the player. We have already established that the spinning reels don’t actually spin, since all the results are preprogrammed via the RNG. They are simply decorative items designed to captivate your attention. The odds of winning a pokies jackpot never change – irrespective of how long you play. Experts advise that the best way to win at pokies is to play over short spells. Go in with a preset bankroll, and be prepared to walk away once that has been spent. Consider that your entertainment budget for the slot machine games. In Australia, the law states that pokies machines – slot machines – must have a minimum RTP of 85%. But this doesn’t necessarily mean that players will receive AUD $0.85 of every AUD $1.00 that is wagered. The way the slot machine manufacturers calculate these percentages is over an infinite timeframe. This means that the total number of bets on that slot machine are factored in and the total number of payouts (including mega jackpots to a select few players) are also calculated. This is where the statistics are skewed. If the game has been played 1 million times and total bets were AUD$100 million, 10,000 people played it, and one player won AUD$10 million, and other 9999 broke even, is the true RTP approximately 10%? This is an example of how numbers can skew statistics. Note that no pokies have an RTP of 100% + – that means that the machine returns more money than it makes, and it is a net loss for the casino. Take full advantage of bonuses, promotions, free spins, and once-off deals. Provided you can meet the wagering requirements of bonuses & promotions, you will find these to be a useful way of stretching your bankroll, and playing more slots games. It stands to reason that the more free chances you get to spin a slot machine game, the better for you. While each outcome is randomly generated, the additional games are a value-added service to you. Always play slot machine games a.k.a. pokies at fully licensed and regulated online casinos. While these games are already negative expectation games, the last thing you want to do is play at an unregulated online slot casino which may not pay you out if you land winning combinations on activated paylines. If you happen to be frequenting Las Vegas, Atlantic City, Macau or other popular slot locales, be sure to play where the locals play, not where the tourists play. Las Vegas strip slot machine games are notorious for their lower payouts. Off the strip in Fremont Street, you can enjoy much better odds on the slot machine games. Numbers matter when it comes to payout percentages (RTPs). Since you have a limited bankroll, it’s always a good idea to practice a wide range of slot machine games (pokies or pub fruity games) online for free in a demo play mode before you register, deposit, and play for real money. That way, you can weed out the poor games from the great games and only spend your money on those pokies that you’re going to enjoy. Online slot machine games typically pay better than land-based slot machine games. This is an important strategic tip to bear in mind. Slots at traditional casinos are subject to machine maintenance, slot managers, floor space, wear and tear etc. As a result, they have to be programmed to pay back at a much lower percentage. Online slots are computer programs that do not occupy space other than cyberspace. As a result, you can expect payout percentages in the region of 95% – 99%, compared to 85% – 90% for traditional land-based slot machine games. Try to understand the concept of volatility when it comes to slot machine games. High volatility machines typically don’t payout as many times, but when they do pay the wins are typically massive. Progressive jackpot slots games are volatile slot machine games. This comprehensive guide on pokies offers you valuable insights into most every conceivable component of these RNG-powered games. While players may believe that resorting to illegal practices can help them win in slot games, this is discouraged at every level. You will face prosecution at the highest level, and serve prison time if your caught manipulating a slot machine game. Common tactics include magnets, fake coins, strings with retrievable coins, or collusion with slot attendants. Play it straight, and you’re much more likely to win a slot jackpot and have fun in the process!